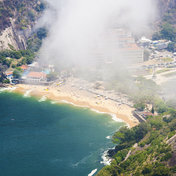 The edition of The New York Times predicts excitement around Brazilian music in connection with the Olympics in Rio and offers a selection of Brazilian records. "Careless and inviting outside, original and multi-layered inside, Brazilian music is much wider and deeper than stereotypes about carnivals and beach bossa-new," journalists write. Listen to the collection Selected Brazilian Music in high quality, absolutely free. You can listen to the whole collection, or separately song by song. In addition to Selected Brazilian Music of the collection, you can find any other one by following the link and get information with the already collected collections and collections of tracks, songs and music.